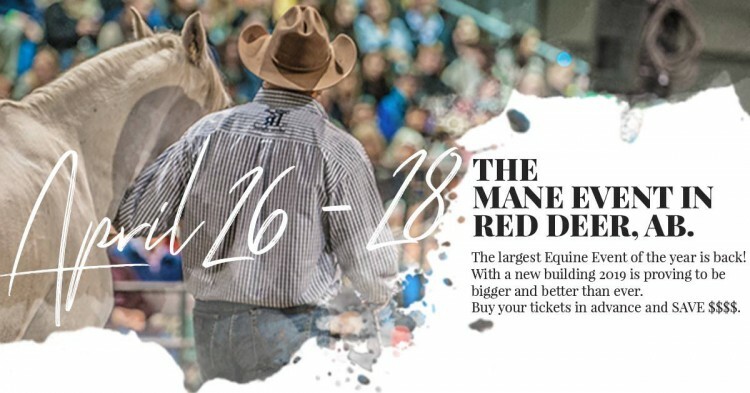 Join us for The Mane Event Equine Horse Expo at Westerner Park in Red Deer, AB on April 26-28, 2019! Come experience what everyone calls “The Mane Event” featuring an extensive clinics, seminars and demonstrations along with shopping galore on the equine based trade floor. Adult admission is $17/day or $45/three-day pass and includes admission to all clinics, presentations and the trade show. Buy your tickets in advance and save $$$! For more details. Pet Policy – Because of the nature of the event, and the large number of people in attendance, no pets will be permitted insides any buildings at any time. However working service animals will be permitted entry.